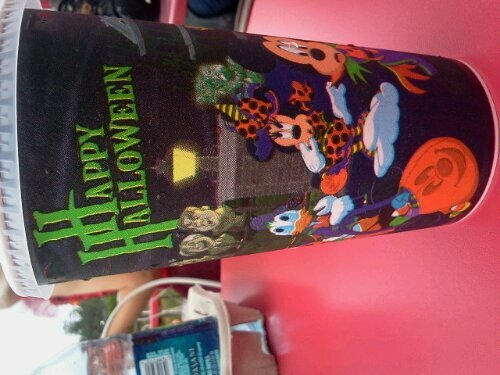 Picture of the Halloween cup featuring Micket Mouse . The cups were paper cups used to serve soda. The event was Halloween at Disneyworld.